While attention has been focused on other regional issues, such as China-US tensions and North Korea’s nuclear ambitions, little attention has been paid to Taiwan. Yet the so-called Taiwan issue, that is, the continued separation of the island from mainland China, remains a major regional security challenge that could potentially spark direct conflict involving the USA, China and Japan, the three largest economies in the world, two of which are nuclear powers. Although Taiwan has continued to find opportunities to maintain the current status quo despite a deteriorating geo-strategic environment as a result of the rise of China and the uncertainties of the Trump administration, its room for manoeuvre continues to narrow. 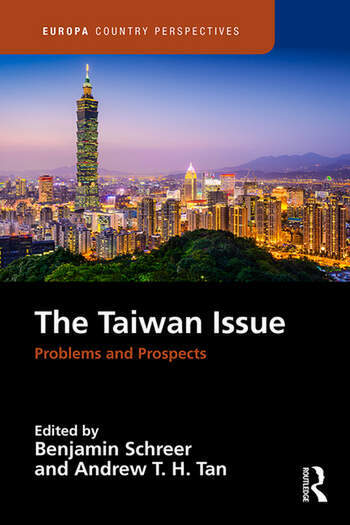 This volume examines the challenges and evaluates the prospects for preventing conflict on the Taiwan Strait, by focusing on the political conditions that Taiwan faces internally and externally. Benjamin Schreer is Professor and Head of the Department of Security Studies and Criminology, Macquarie University, Sydney, Australia. Previous positions include senior analyst for defence strategy at the Australian Strategic Policy Institute (ASPI); senior lecturer at the Strategic and Defence Studies Centre (SDSC) at the Australian National University; and senior analyst at the German Institute for International and Security Studies (Stiftung Wissenschaft und Politik, SWP). He has published widely on international security and defence affairs, including East Asian strategic trends. Andrew T. H. Tan is Associate Professor at the Department of Security Studies and Criminology, Macquarie University, Sydney, Australia. He was previously Associate Professor at the University of New South Wales and Senior Lecturer at Kings College London, UK. Andrew has published 19 sole-authored, edited and co-edited books, and over 60 refereed journal and chapter articles. Some of his latest books include: Terrorism and Insurgency in Asia (London: Routledge, 2019), The United States in Asia (Cheltenham, UK: Edward Elgar, 2018), US–China Relations (Cheltenham, UK: Edward Elgar, 2016), Security and Conflict in East Asia (London: Routledge, 2015), The Arms Race in Asia: Trends, Causes and Implications (London: Routledge, 2014), East and Southeast Asia: International Relations and Security Perspectives (London: Routledge, 2013), Security Strategies in the Asia-Pacific (London: Palgrave Macmillan, 2011) and US Strategy Against Global Terrorism: How it Evolved, Why it Failed and Where it is Headed (London: Palgrave Macmillan, 2009).